This morning I woke up before Eli got out of bed which is a rare thing. Usually he is up ready to go around 6:30 or 7:00. I was in the kitchen when he walked out of the bedroom (our bedroom, ahem, he'll sleep in his bed for more than 3 days in a row someday right?). As soon as he walked out of the bedroom I started singing happy birthday to him. Today is his fourth birthday. FOURTH. I went over to him, bent down to his level and gathered him in my spare arm (Annie was occupying the other). As I did this I could smell his hair and his skin and suddenly I had a quick flashback to that morning four years ago. It sounds so dramatic and a I'm on the verge of "crazy mom" here but it really happened. For a brief moment I was back in that hospital room, staring at my son. I was waiting for the rest of the world to wake up so that I could share my news with everyone else. I hadn't slept one bit because I literally could not take my eyes off of the blue eyed bald baby boy in front of me. Everybody else in the world was living their life as usual but my life had been changed. I walked into that hospital as one person and walked out a completely different person. I had no idea I was capable of loving another person as much as I loved that six pound eight ounce baby boy. Four years have passed and that baby boy is now a preschooler. A preschooler who acts in a typical preschool sort of way. We have fits and battles over eating dinner and many many nights of fighting over where to sleep at night. He is my child that I get to experience my firsts with. My first baby. My first one to potty train. My first one to send to school. My first one to use my "mom voice" with and my first one to apologize to when I feel I was a little too hard on him. My first one to do so many other things that this life will bring. As he grows older I do not want to treat him like a baby. I want to be a guiding force in his life of teaching him how to live life in this world. But I hope as he grows older I never, ever forget that feeling on March 9th when I became a mom for the first time. 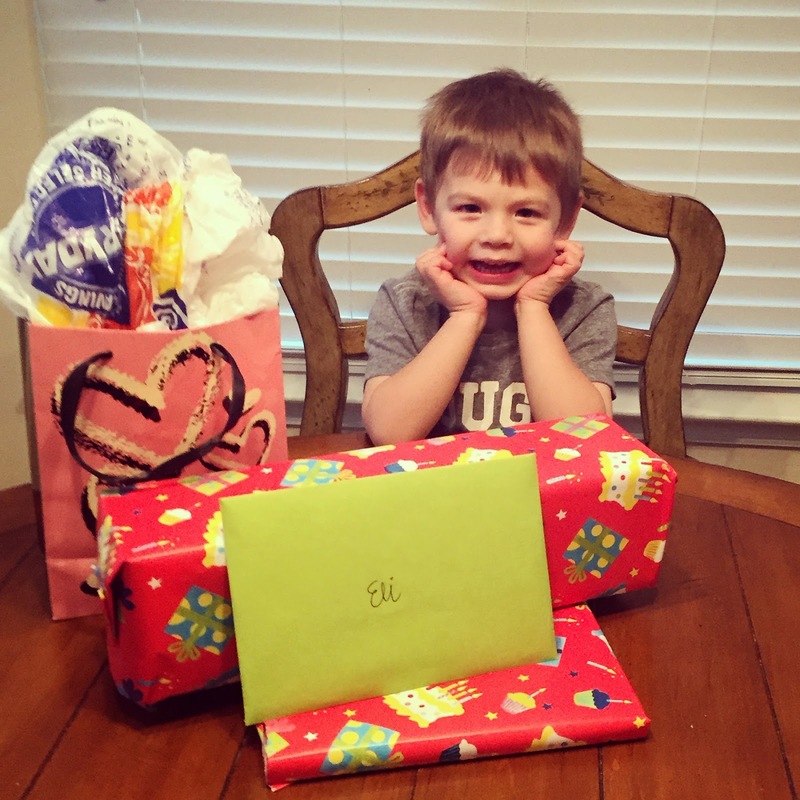 We had a wonderful day of celebrating Eli. 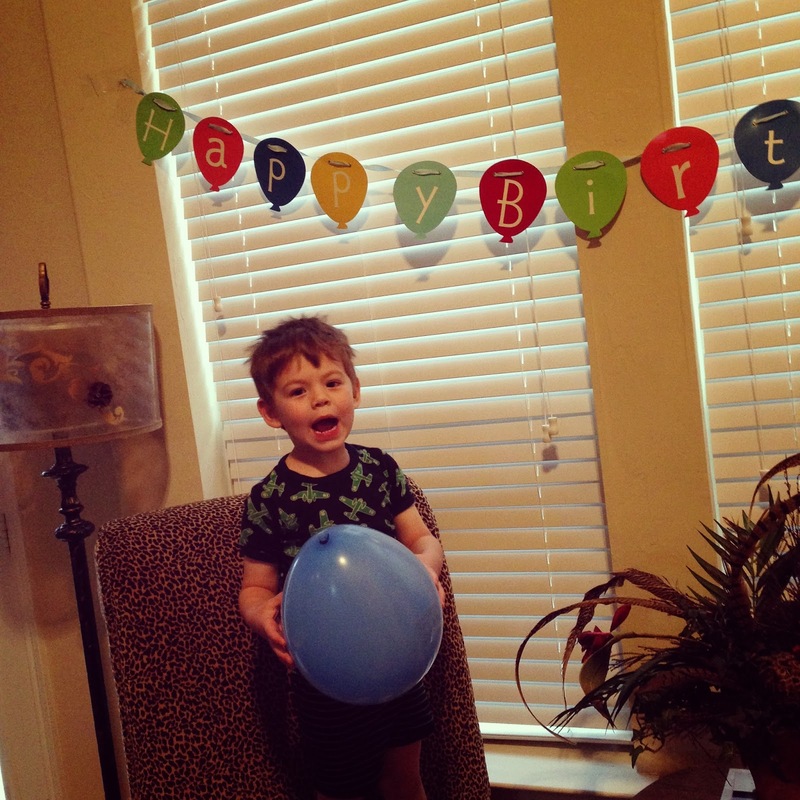 We met Luke for donuts, then I took Eli and let him pick out a birthday balloon. Later he got a cake pop from Starbucks and we ended the night with presents and pizza. 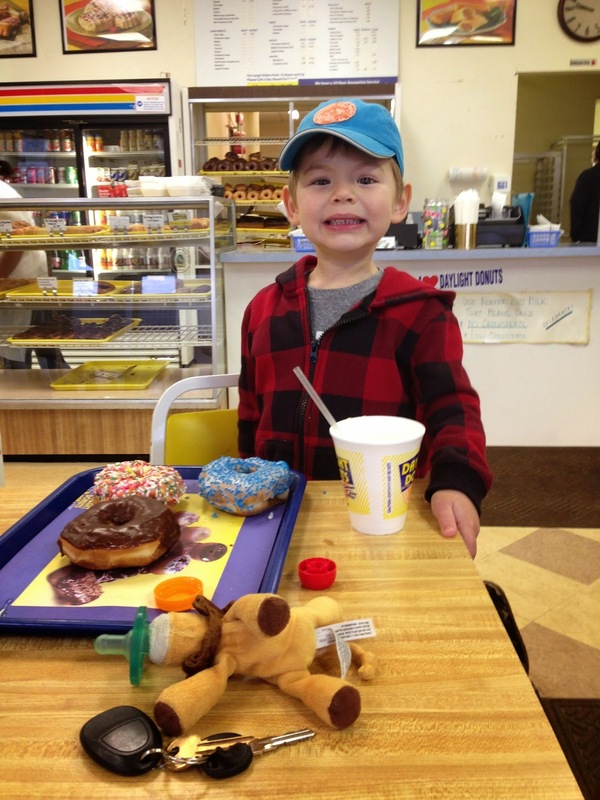 He was VERY excited all day and pretty hyper (I'm sure the donuts and cake pop didn't have anything to do with that). Shortly after he woke up he said "well I'm four now but I still can't whistle"
When we were getting in the car to get donuts he said "I'm four now don't I sit in the front seat?" He also told me that now that he is four he won't throw fits anymore. That lasted until noon. Right now he is being tucked in bed by his dad who is reading him his new Curious George birthday book. I would say it's been a great day! This previous year of his life he grew up so much, not only did he become a big brother but he become more independent in so many ways. I can't wait to see what this next year holds. Omg that's so cute! I can't believe he's 4. 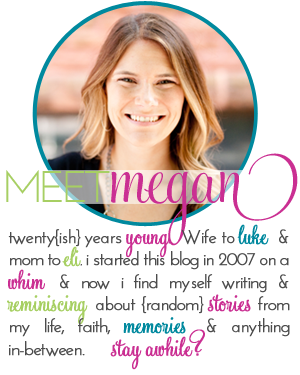 I started reading this blog probably 6 or so years ago. Time flies! I remember when you announced you were PREGNANT with him... how is he 4? such a sweet boy! how is he already 4?!? I remember reading his birth story! I can't believe he's 4 and that my boy is almost 6!